Today’s post comes courtesy of Zack Fagan from StoreYa. 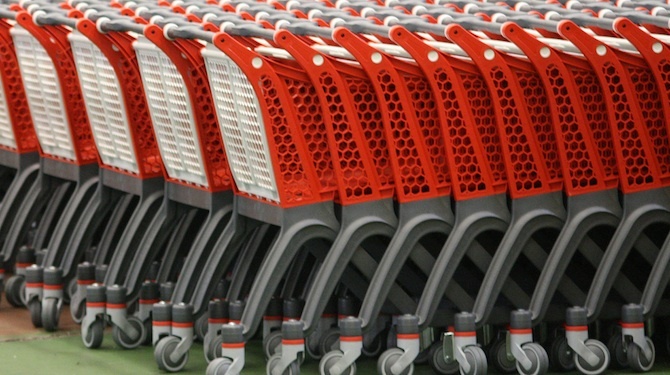 Have you capitalized on the full potential of social media in your WooCommerce store? According to HubSpot.Com, people are 71% more likely to make a purchase if they got a referral from social media. 77% of B2C companies acquired customers through Facebook (State of Inbound Marketing). 68% of Americans say that social media effects their purchasing decisions (Search Engine People). The numbers speak for themselves — social media is a must for any business. In this post, I’m going to discuss five extensions for WooCommerce that can help you tap into this tremendous potential. If you are looking to increase customer registration, you should definitely consider adding a social login and checkout extension to your WooCommerce store. This extension, developed by Codenegar, is designed to make the registration process for your customers quick and sweet. All that your customers have to do is log into one of their social network accounts (this extension supports Facebook, Twitter, LinkedIn, Google, and many more) and voila! — they have signed into your store. Once your customer has logged in, their personal account at your store is linked to their social media account. The Social Login and Checkout extension enables you to decide where you want the social login to appear in your store: at checkout, on the account page, or even as a sidebar. 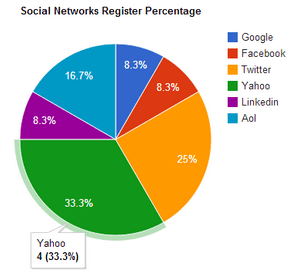 Additionally, this tool provides you with a graph that shows you which networks your customers registered from. This plugin is not listed in the WooCommerce store or in the WordPress repository, but it does have a good four star rating in the Envato Marketplace. Another great way to utilize social media is through Social Coupons. This extension will not only get your brand more exposure, it will boost your sales at the same time. The way it works is simple: in exchange for liking your brand or sharing your product page, your customers receive a discount on their purchase. You can decide where you would like the coupon to appear: on product pages, at checkout, on your homepage, etc. You can also choose what kind of coupon you would like to provide. The Social Coupon is not available to download directly from a WordPress market place, but it has excellent reviews on the Envato Marketplace, and the customer support is also quite good. Adding a wish list to your store is already a great function, but making that wish list shareable on social networks takes it to the next level. With the DVin wish list extension you can do just that! DVin enables your customers to create a wish list from your store’s merchandise. They are then given the option of leaving their wish list as private (the list remains on their account in your store), or they can publicize it by sharing it on the social network of their choosing: Facebook, Twitter, or Pinterest. There is also the option to share the wish list with a specific person via email. It can work like a peer review — If my friend likes their stuff, then it is probably good quality. In addition to the great benefits of this extension, it also comes with a lot of personalization features so that you can make the wish list page and wish list buttons fit with your store’s theme. You can also select where you would like the “add to wish list” button to appear: after the “add to cart” button, after the product thumbnail, or after the product summary. This plugin has strong 4+ star rating and is compatible with the latest version of WordPress. As you continue adding more social features to your WooCommerce store, don’t forget about utilizing Instagram as well. The Instagram Gallery is a great tool which integrates Instagram directly into your product pages. As the store admin, you select specific hashtags that you want to integrate into your store, and then any picture posted to Instagram under that hashtag will appear in your store. Obviously you should advertise to your customers to post their pictures of your products under the hashtag which you selected. 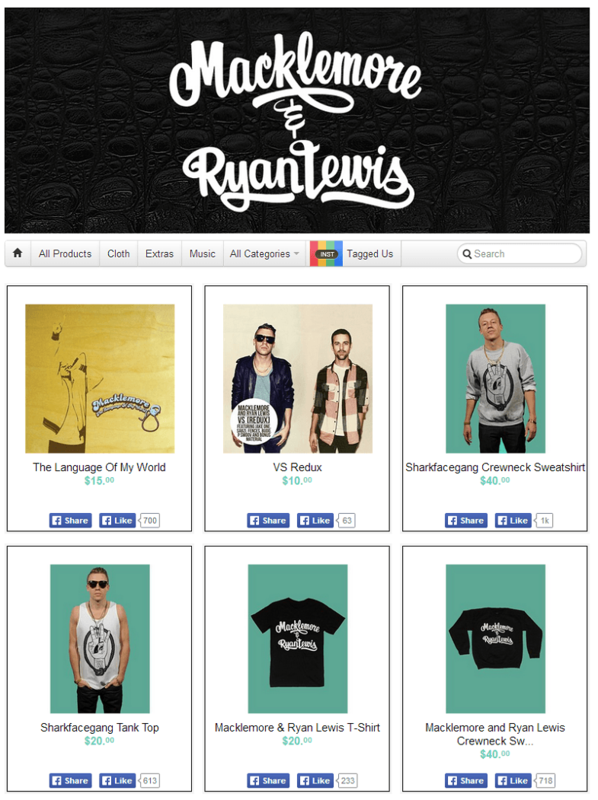 This way you can have your fans create a photo gallery of your merchandise for you. The WooCommerce Instagram gallery is a WordPress plugin that is in the WooCommerce marketplace, so you can be confident that this is a high quality extension. Last I want to mention StoreYa’s WooCommerce Facebook shop extension, not just because I work for them, but also because I truly think that this extension can be extremely helpful for your WooCommerce store. 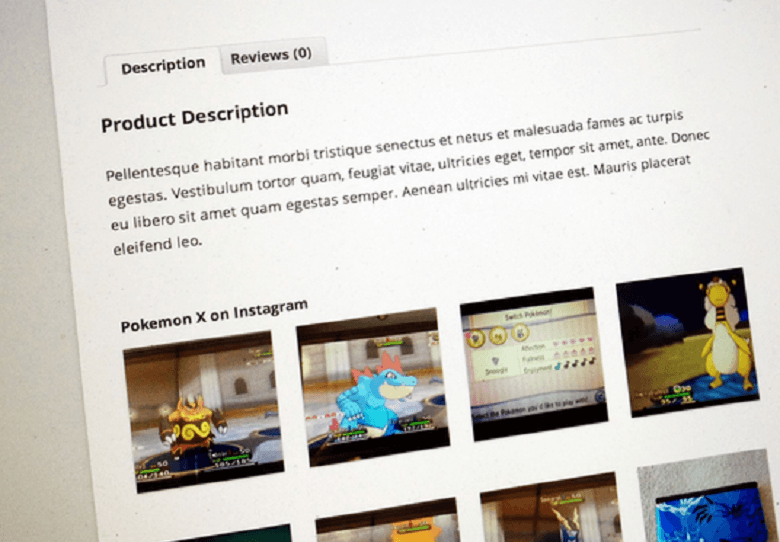 The StoreYa extension’s first feature is it fully imports your WooCommerce store directly to your Facebook fan page. This integration is a simple process that requires no coding (read the WooCommerce to Facebook guide to see how easy it is). Once your store has been imported to Facebook, you can customize it according to your brand’s look and feel, and start promoting it to your fans. This, and all other Facebook store administration, will be done from a separate back office (not from WordPress). StoreYa also has many social media marketing tools to help boost exposure and sales for your brand including: group deals, scratch and win coupons, “want” and “own” lists, Instagram/Twitter/YouTube tabs for your Facebook fan page, coupon pop deals, and many more. You can download this extension directly from the StoreYa website or from the WordPress repository, where it has received good reviews. So what are you waiting for? Add social extensions to your WooCommerce store and start seeing the results! Zack Fagan is a social media enthusiast who loves all things digital. He is the marketing manager for StoreYa where he spends his days searching for the newest social marketing scoop. Follow Zack on Twitter. Image Credits: Code Canyon (2, 3), Macklemore, WooThemes, Polycart. At ManageWP we pride ourselves on publishing articles from top WordPress authors. Alongside our core of awesome writers we also occasionally feature articles from WordPress experts. You will find their articles below -- enjoy! Convince buyers to buy more! 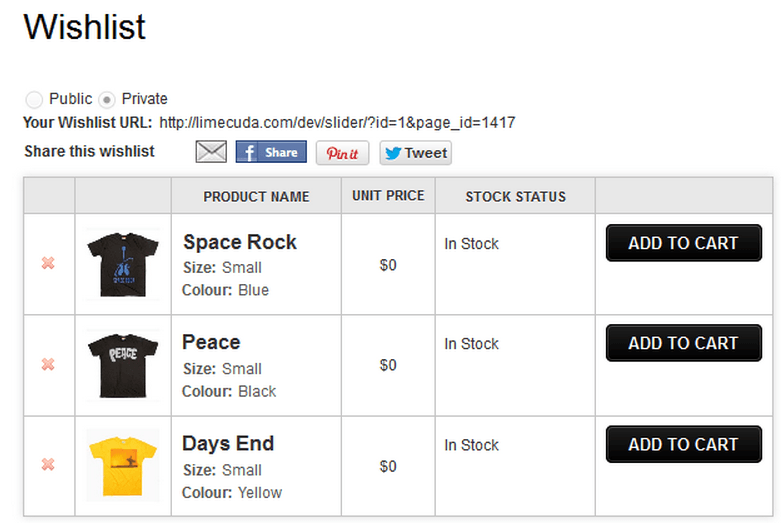 The link to the DVin wishlist leads to a removed product page on Codecanyon. A GOOD post-purchase social sharing tool, so that the order confirmation page (thankyou.php) gives the customer the ability to easily share about their purchase on Social media as well as by email. AddShoppers has something that does this, but I’d rather have an extension/plug-in than pay for some SAAS. 1. WooCommerce Social Login and Checkout Plugin – does it exist?